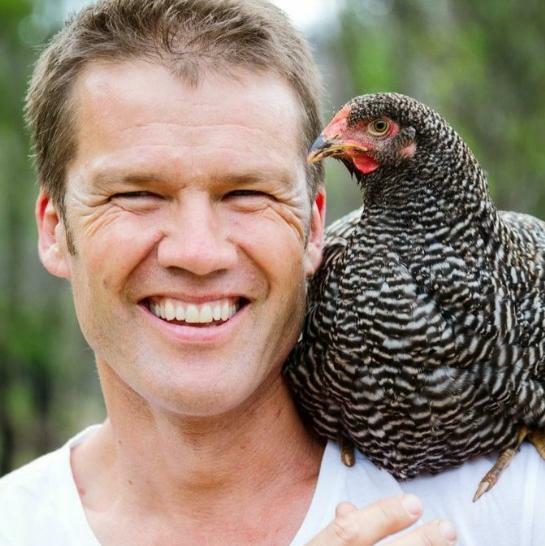 Who better than someone with his own start-up agrienterprise focussing on growing and processing poultry on-farm, and who was appointed in 2012 as chief executive officer of the Southern Forests Food Council, a WA government initiative, to become the spokesperson for Fair Food Farmers’ United (FFFU)? FFFU is the farmer node of the Australian Food Sovereignty Alliance (AFSA), the national food and farming educational and advocacy organisation. 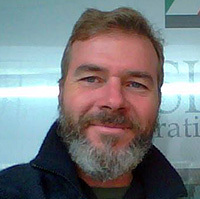 Jeff’s Pow is a diverse background, spanning primary production, ecology, consulting, management and business strategy, education and research. His formal qualifications include a Master of Business Leadership from Curtin University’s Graduate School of Business, majoring in Leadership, Management and Strategy. With his wife, Jeff is restoring the heritage-listed Southampton Homestead, a 49 hectare colonial farm near Balingup in the southwest of Western Australia. Jeff advocates for solutions he witnessed first-hand in the USA and UK as well as those locally developed. AFSA and the Victorian Farmers Markets Association have today released a joint public statement, calling on the Victorian Government to work with AFSA, VFMA and small producers to engage in open and constructive discussions about how to support the rapidly emerging local and fair food economy in Victoria. Regulatory costs and compliance have a major impact on the viability of all producers and food businesses. The need to ensure the flexibility to innovate is recognised by the Inquiry into the impact of food regulation on farms and other businesses (2013). In the same document the Victorian Government emphasises the value it places on the contributions of producers in policy-making. Accordingly, the cancellation of the public multi-stakeholder discussion forum on regulation at Monash University on February 24 is a serious blow to public engagement and transparency. This event, hosted by Monash University Law Faculty and co-sponsored by AFSA and the Victorian Farmers Markets Association (VFMA), was to be a landmark forum addressing the regulatory challenges in enabling the production and provision of safe, transparent, innovative, fair and local food in Victoria. Producers, regulators, industry representatives and certification agencies were invited to participate in two panels addressing the challenges and opportunities of ensuring safety and transparency in small scale food production and retailing. The aim of this ground-breaking day was to generate a productive dialogue around the potential and opportunities for improving food regulation to build consumer confidence in and access to fair local food. This dialogue is essential to the co-creation of an effective, coherent and evidence-based regulatory environment that enables a strong and thriving local and fair food economy. Shortly before the forum was due to take place, AFSA and the VFMA were informed that it was being cancelled, and replaced with a closed invite-only workshop focused just on food labeling issues. AFSA and the VFMA are deeply disappointed that a unique opportunity for a constructive and productive dialogue between regulators and producers has been lost. Many producers were excited by the opportunity for this dialogue and were prepared to travel long distances, at their own time and expense, to take part in it. We believe it is the public duty of these regulators to engage in open and constructive dialogue with producers. As publicly-funded agencies with significant enforcement powers conferred by legislation, we are concerned that this last-minute cancellation of a public event demonstrates disregard for public accountability and openness to scrutiny. We value diverse opinions, strengths and ideas, and consider the feelings of others. Despite the opportunity lost with the cancellation of the forum, AFSA and the VFMA will continue our efforts to engage regulators in a constructive dialogue of how they might work within the existing regulatory framework to best support and enable the producers and communities who are building local, transparent and fair food systems. At the same time, accumulated experience from many producers does, in our view, make a powerful case of the need for a simplified and coherent regulatory framework that enables the emerging local and fair food system to flourish. Anecdotal evidence from many producers reveals that such costs and compliance, and at times heavy-handed enforcement, has a crushing and at times terminal effect on viability. Colin Giles says that PrimeSafe's [Deputy Chief Brendan] Ryan told him at the Melbourne meeting that it was an "open-and-shut case" of cruelty and that he was cancelling their abattoir licence permanently. They were also warned that any animal cruelty charges, if proven, could carry a jail sentence. "Then PrimeSafe told us that if we surrendered our licence to them that afternoon, there would be no further investigation," Giles recalled this week. "And then they asked us what we thought. But I don't think we said much at all. We were devastated, dumbfounded -- we certainly felt like we were being forced to hand our licence in." We call on the Victorian government to ensure that food safety regulators are held accountable to the Victorian public as a whole, and in particular the industries they are established to regulate and support. AFSA is a national alliance of farmers, food entrepreneurs, public health professionals, community gardeners, farmers market coordinators, journalists, researchers and local food advocates who share the vision of a fair food future for all Australians. AFSA draws inspiration from and is founded on the principles of food sovereignty. Founded in 2010, AFSA has provided national vision and leadership through collaboratively creating Australia's first Peoples Food Plan, and in coordinating Australia's first Fair Food Week. In 2015 AFSA is launching Australia's first Fair Food feature documentary, which tells the stories of Australian farmers, social entrepreneurs, and urban agriculturalists who are transforming Australia's food future. a) Representing members on a range of industry issues. b) Providing a central information point for shoppers and industry alike. We support 40 accredited farmers markets around Victoria. The VFMA represents myriad types of Victorian farmers and food producers who trade at our accredited markets. VFMA accreditation aims to ensure our farmers’ market customers are buying what they expect, with genuine informed choice, as well as providing a fair environment for local small-medium scale food growers and producers to prosper. The VFMA accredited farmers’ markets provide a reliable benchmark distinct from non-accredited markets - primarily no middle men/re-selling – only the genuine growers and their production staff, reconnecting people with their food sources and producers with their consumers. The VFMA and our stakeholders share the vision of a fair food future for all, from farmers and along the food production chain to consumers. The VFMA has collaboratively consulted with AFSA regarding Australia's first Peoples Food Plan, and in promoting Australia's Fair Food Week. Reproduced from the 22 March 2012 Australian story by Rural Reporter Sue Neales – for the full story see http://www.theaustralian.com.au/news/features/piggy-in-the-middle/story-e6frg6z6-1226306631801. Fair Food – the documentary! Thank you so much for your support of AFSA and the Fair Food movement in Australia. We are very excited to be collaborating with communities all around the country in sharing some truly inspiring stories of the wonderful people transforming our food system. In this email we are providing details about how you can obtain a copy of Fair Food from us, arrangements for screening, and the support in terms of materials and promotion and, if possible, speakers, that we can provide. Once the licence fee (see below) is paid and the licence agreement signed, a copy of the Fair Food DVD will be sent to your nominated address. The releasedate for the DVD will be confirmed in a subsequent email but is likely to be between mid-February and early March. The film is 1 hour 4 minutes duration. How you choose to organise the event is entirely up to you, and we recognise and celebrate that many of you will no doubt have more experience than us in running similar events. We want to help make your event as successful and enjoyable as possible, and so we are putting together some resources and strategies from our own experience hosting film events, as options for you to consider. Wherever and whenever possible AFSA will attempt to have a local AFSA member available to your screening to discuss fair food and food sovereignty issues in Australia, the work of AFSA, and to take part in any speaking slots or panel discussions you may wish to conduct. We encourage all groups and organisations conducting screenings to make attendees aware of Fair Food Week in October 2015 (www.fairfoodweek.org.au) and if possible guide discussion around what event or events could be planned in your local area to celebrate Fair Food Week this year. if you decide to have some discussion afterwards, and you and the participants feel comfortable doing so, it would be great to capture a few views and opinions about local fair food issues on a short video. We can add these to our YouTube channel and also upload them to the Fair Food doco website, www.justfoodfilms.com, to share what’s happening in your community with the rest of the country and the world. Fair Food is available to community groups for a one-time licence fee of $300. Please see the attached FAIR FOOD – Licensing Agreement May 2015 for details of the licence conditions. If your organisation or group would have difficulty recouping the licence fee through ticket sales and sponsorships, or might otherwise have difficulty paying the full amount of this fee, please contact us to discuss alternative arrangements. Equally, as a non-profit association that is entirely reliant on member subscriptions and volunteer labour to sustain our advocacy programs and campaigns, if you are in a position to make an additional donation beyond the licence fee, we would be sincerely grateful. If you are uncertain about any of these terms, please contact AFSA via email or the numbers below to discuss and outline your questions. There are numbers of groups interested in hosting screenings planned for Adelaide, Brisbane and north coast NSW (Byron Bay). If you are in those regions and are not already in contact with others locally, please let us know so you can coordinate screenings, if it is decided to host more than one. written dozens of articles for online publications and magazines, participated in many seminars, conferences and events as speakers, and been interviewed dozens of times on local and national radio to raise awareness of the key issues. This is power of a social movement – the power of people working together united by a common vision and passion for change. And we’re just getting started! With your support and participation as individual and group members, we can really make the Fair Food movement in Australia become an unstoppable force for change. We also value greatly your support of AFSA by distributing the membership leaflet at the screenings and promoting membership to attendees. For details of how to join AFSA, please visit: afsa.org.au/join-us. We are excited about the level of interest being shown around the nation in the Fair Food documentary. 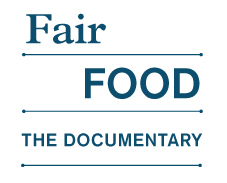 We are proud to have been part of bringing Australia’s first Fair Food documentary to you, and hope it will play a role in bringing us into greater connectedness and stimulate smart, innovative, creative action towards making our food system fairer for all. If you would like any further information, please don’t hesitate to get in touch either by email or by phone at the numbers below. 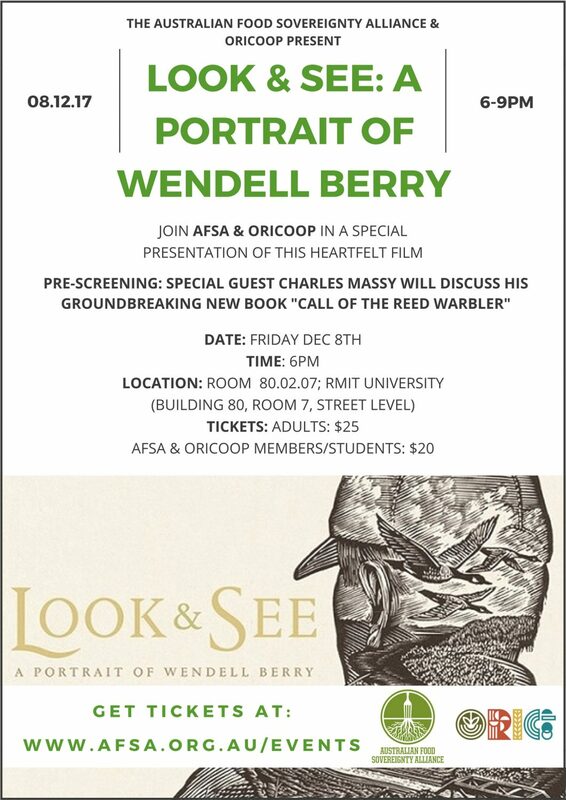 This is the text of the speech delivered by AFSA National Coordinator Dr Nick Rose to the sell-out audience of 200 people, at the premiere of the Fair Food documentary at the National Gallery of Victoria on Tuesday 2nd December, 2014. Because the Food System is broken. Because we have fully applied the technologies and the mindset of industrialisation to food and farming. And because we have combined industrialisation with the logic and the imperative of endlessly increasing production, regardless of the consequences. It means we have over-exploited our land, degraded our soils, and damaged our river systems. It means we have one of the highest rates of deforestation, biodiversity loss and species extinction on the planet. It means, globally, that the food system contributes as much as 50% of all greenhouse gas emissions. It means that we have a supermarket duopoly which controls 70-80 percent of the grocery market, forcing farmers and food processors into price-taker relationships. 100 years ago farmers received 90 cents of every dollar’s worth of food they produced; today it’s around 10 cents. 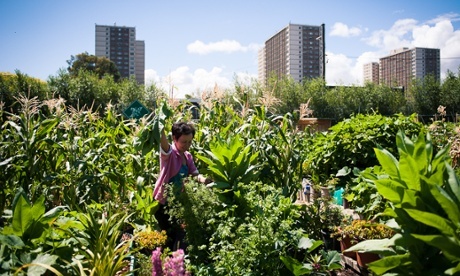 Farming has become de-valued in our highly urbanized culture; and not just economically. So it’s shocking, but not surprising, that 7 farmers leave the land every day, and that rates of suicide and depression amongst farmers are twice the national average. Our industrialised food system produces too much food of the wrong type. So we’re subjected to an endless barrage of advertising, urging us to buy food products laced with excess sugars and salt. Dietary-related diseases are already amongst the biggest public health issues we face. [message_box type="" icon="" close=""]Our food system is not merely broken. We made this film, and we formed the Australian Food Sovereignty Alliance, because we can no longer tolerate this state of affairs. Because it’s no longer enough just to talk or think in terms of reforms. We need a transformation; we need a revolution. This is the challenge to every one of you here in this room. This is the choice facing every one of us alive today. Do we continue to allow our culture and our society to become ever-more destructive, and ever-more violent? Do we choose to remain in a paradigm which says that the Earth, and indeed ourselves, only exist for endless exploitation so that a tiny fraction of humanity can enjoy obscene levels of wealth? Or do we choose to be part of the great challenge of our times – the greatest challenge of all times? To create a shared vision of a wonderful, bountiful world, where there is no hunger and no poverty; where soils are thriving, rivers are healthy and forests are abundant; where animals roam freely; and where all of us are healthy and flourishing. [message_box type="" icon="" close=""]Do we choose to see ourselves as victims of processes and powers beyond our control, and simply walk away and do nothing, resigned to our fate? Or do we choose to see ourselves as subjects and shapers of our own history, as creators and narrators of our own story, as powerful beings with the capacity to effect great changes? We made this film because these are messages that need to be heard. This is the story that needs to be told; that we need to tell ourselves, and each other. We made this film because we know that there are women and men all over this state, and all around this country, who have embraced this new paradigm, who are blazing a trail towards the decent, fair and liveable future that all of us want. We’re here tonight to recognize and celebrate them. They are our Fair Food Pioneers. And this is the story of Fair Food.